Teach us wisdom, teach us love." 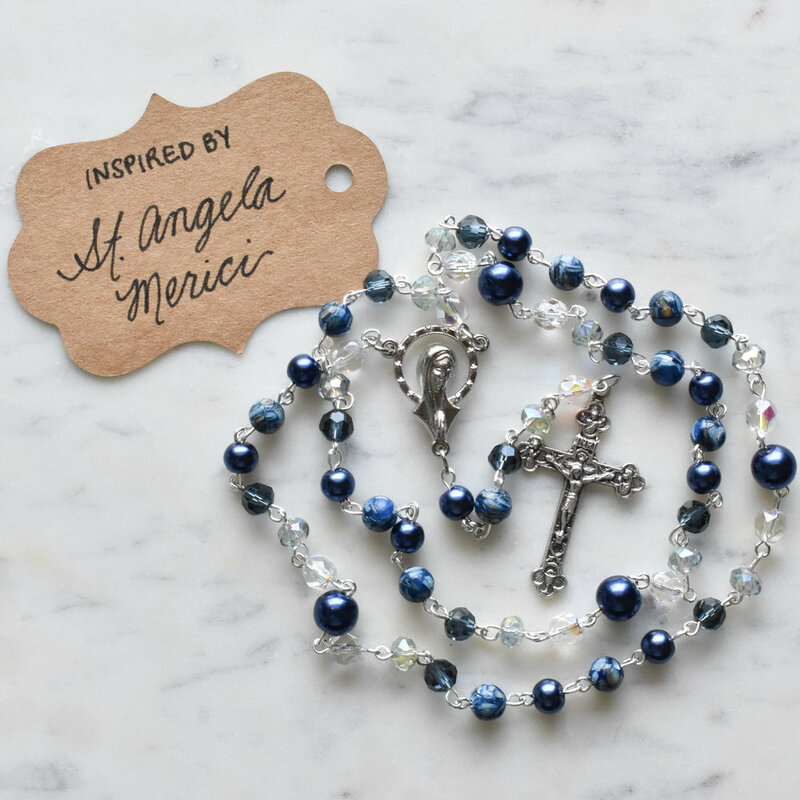 With a devotion to the Blessed Mother, a heart for sharing the rosary, and a passion for creating tangible devotions to Saints, Catholic creative Angela Marinelli offers thoughtful gifts through Quiet Light Creations. 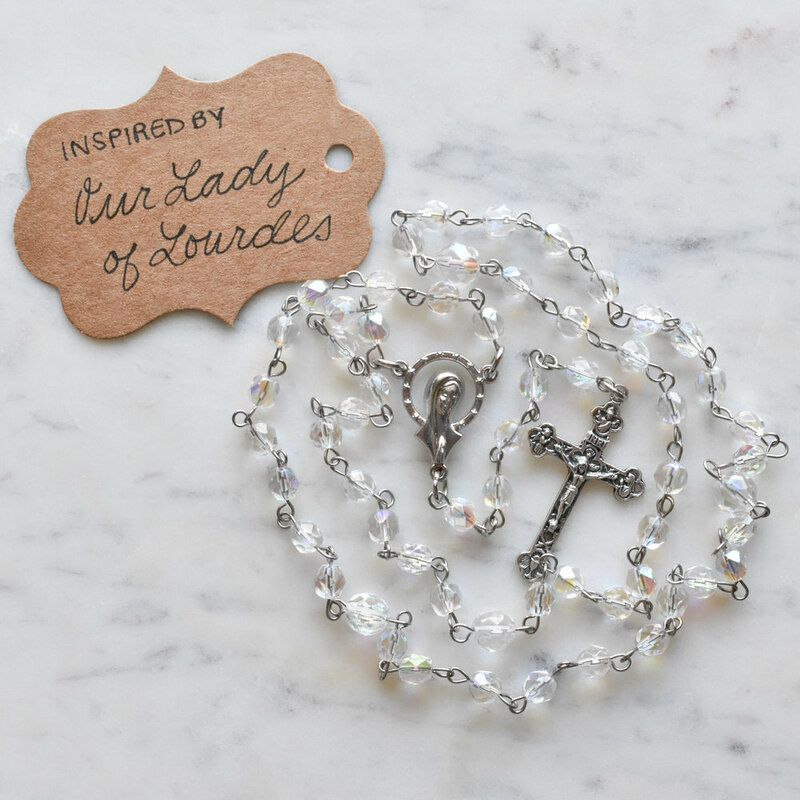 “Every design in my shop is inspired by a saint, their story, and the unique way they've shown God's Love to the world.” The designs are both simple and intricate, a complex dynamic between color, texture, and symbolism to represent each saint’s story, virtue, and identity. 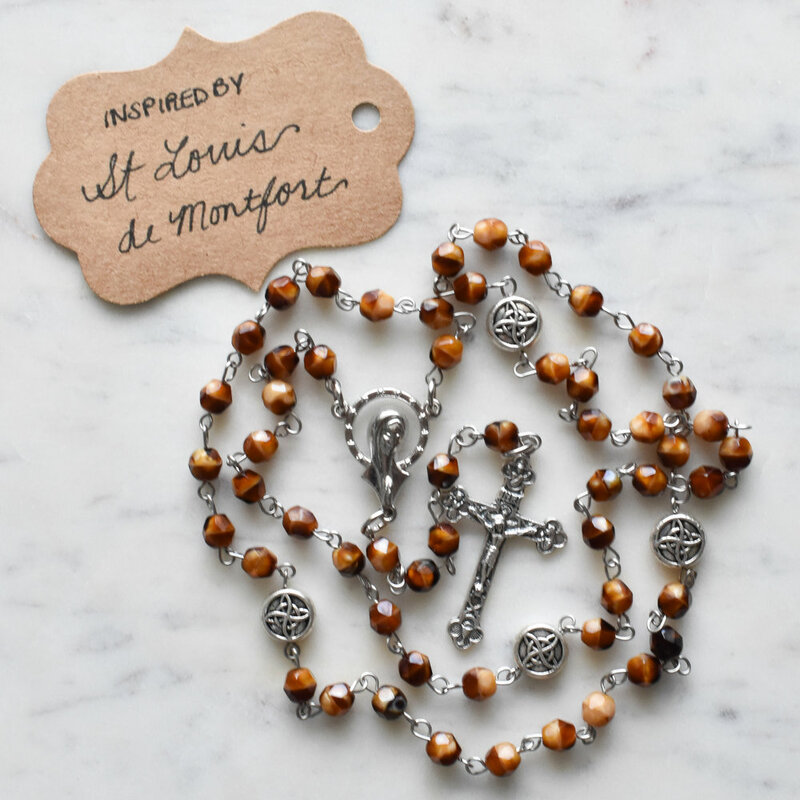 Beyond the careful curation, each rosary is prayed over and every recipient is prayed for throughout the design and creation process. Quiet Light Creations ships nation- and world-wide.